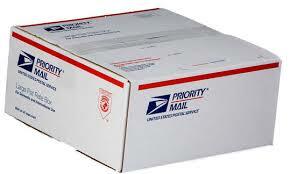 Baltimore postal worker Jeffery Shipley has been accused of stealing more than 20,000 items. He was a U.S. Postal Service mail carrier from August 1993 to March 2014. He is being accused of stealing DVDs, passports, prescription medication, checks and money orders. It is even being said he stole furniture that belonged to the postal service. Shipley was arrested on March 10 when officers found 55 gift cards and 15 credit cards in his possession. He was charged last week with theft of mail and destruction of mail. He stole from the Parkville Branch and Catonsville Carrier Annex. These locations where not on his route assignment.